Avoid costly roof replacements when they’re not necessary. Your roof’s condition might call for a restoration instead, which is a fraction of the cost and can be fully warrantable. Our scientific, data-based evaluation of your roof’s condition can accurately determine its remaining useful life and outline cost-effective alternatives to roof replacements. Simon Roofing’s 15 year/3 phase commercial roof restoration option gives building owners and facility managers a long-term, fully warrantied, watertight roof with the work and expense being spread over a three-year period. The roof is brought to watertight condition in phase one so you won’t need to worry about leaks throughout the remaining years as the rest of the work is completed This gives facility managers the budget flexibility to tackle other maintenance projects. 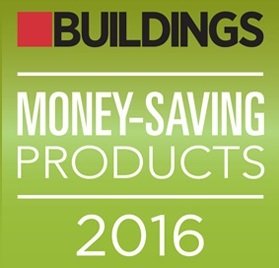 Simon Roofing’s 15 year/3 phase roof restoration won the 2016 Money-Saving Product Award from Buildings magazine. For your questions about roof replacement alternatives, contact us today at 888.353.7178 or reply@simonroofing.com.